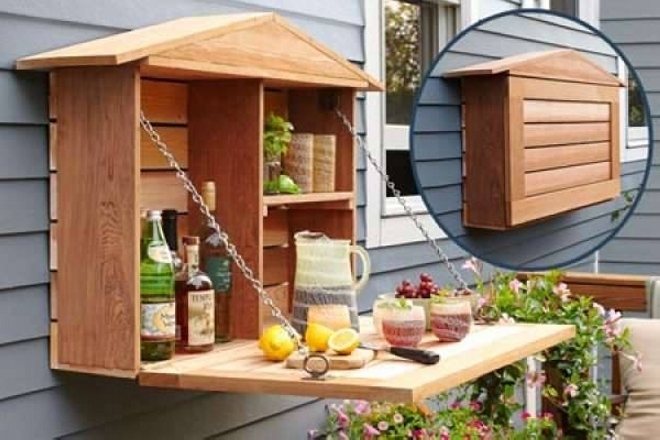 This distinguished platform is meant to make you guys familiar with the pallet wood creations, and also to bring you some ever new pallet wood inspirations that you can actually make and use it in your practical lives. You feedback is a motivation for us that keeps us going and we keep exploring new ideas. 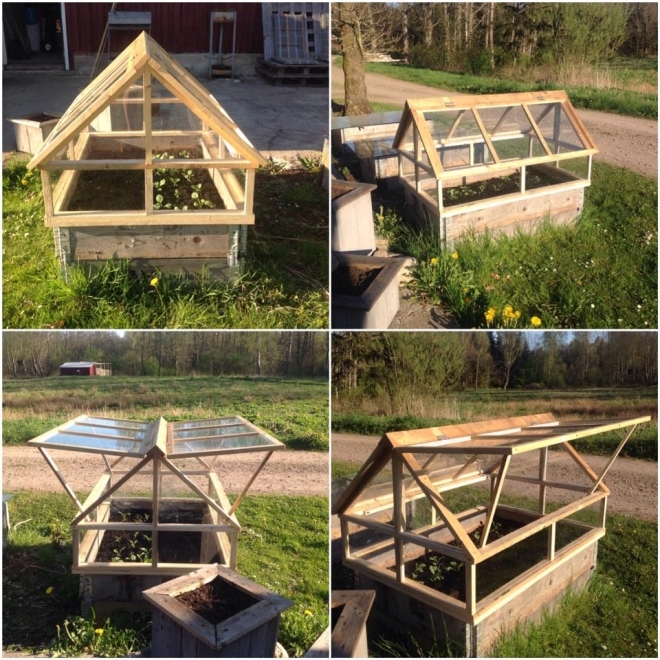 Using the pallet wood in multiple garden ideas is another aspect of the wide spread pallet wood recycling approach. 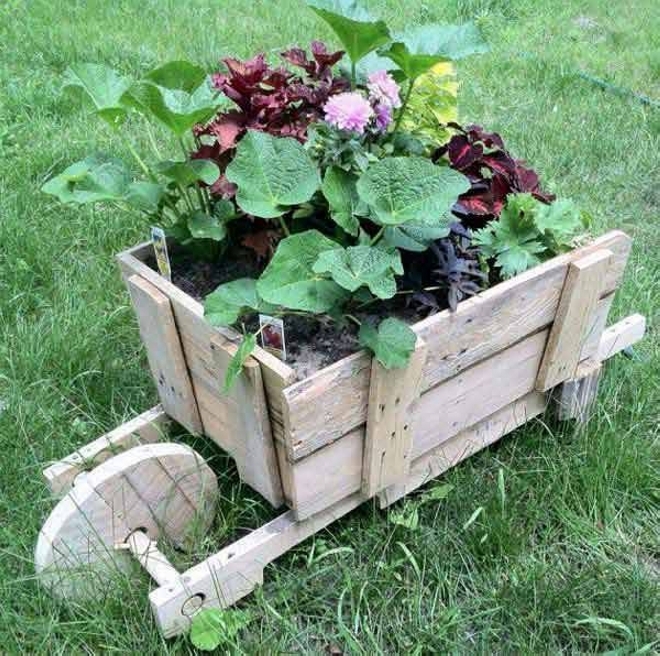 Whenever used in garden ideas, pallet wood does its job very effectively. Here are some more of them, I urge all the gardeners to have a look on them. This woody and rocky passage way is dedicated to all the art lovers who just want to do something different, who want to show their love for aesthetics and beauty. 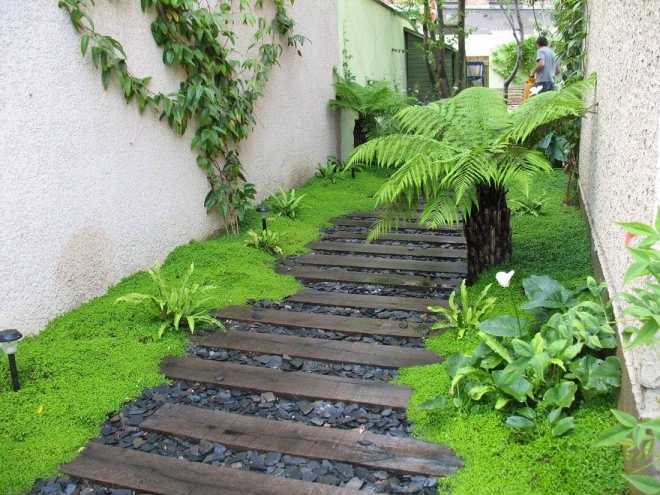 Infact a great embellishment for your green landscape. 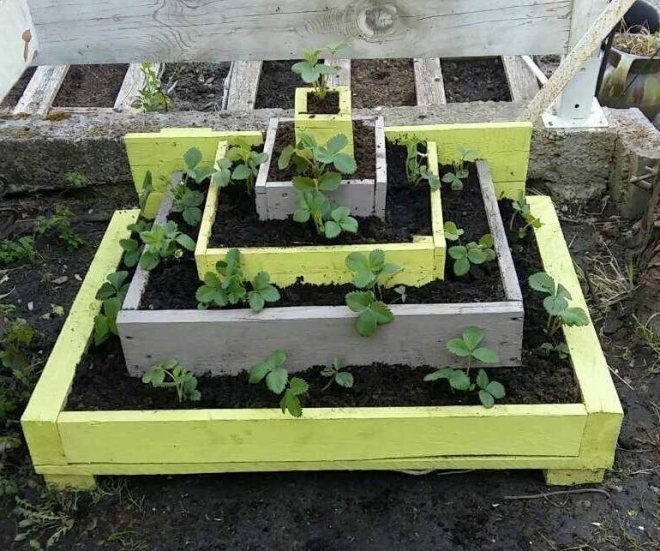 Another classic pallet wood recycled garden décor plan is here that is a comprehensive execution. It has got some features to be used practically, and some of the silent features are a mere beautification measure like the flowing water. This requires a lot of timber and also a lot of work. 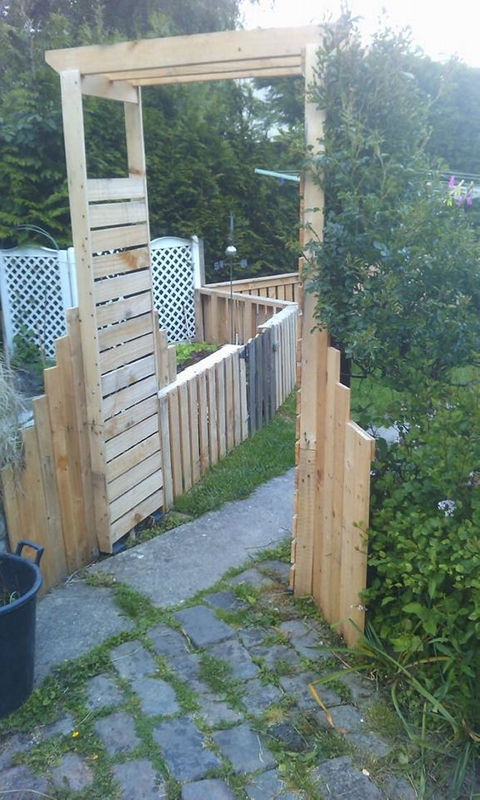 Again we have come across a genius pallet wood recycled fence that is leading all the way long. At the end we see a door frame that is an artistic representation or partition of the green landscape. 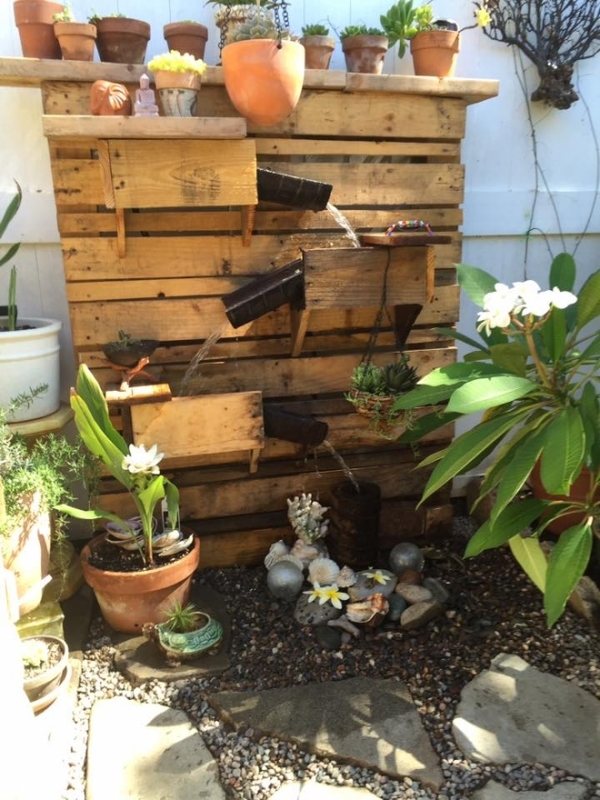 A general comment would be simply splendid for this great pallet wood utilization. 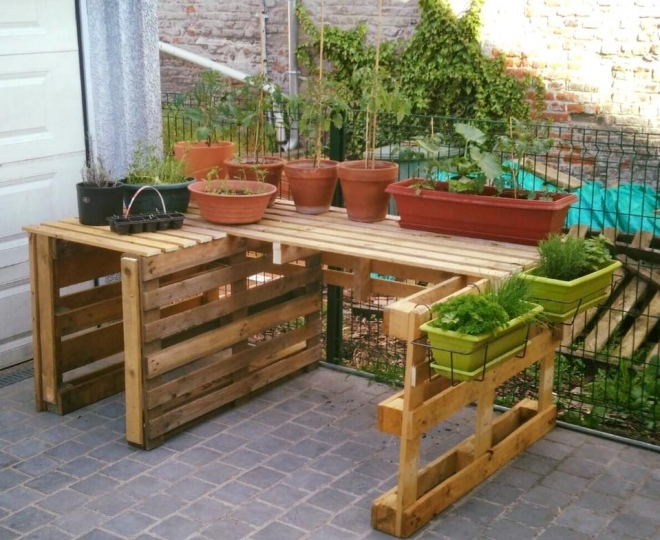 Ok, what exactly we did here, we used some whole straight shipping pallets and combined them together in such a manner that it created wooden pallet table that can be used to place some planter pots, plus the racks on the sides are another embellishment in the wooden table. Making the caricatures with the wood pallet is another smart approach that can be followed with this cheap timber. Because this is available pretty free of cost so we can demonstrate all the crazy projects using the pallet wood without any fear of loss. This hand trolley is a classic example. If you go to the market to buy some herb garden, this would cost you pretty high. And still it would be lagging a number of features that you expected because they never design it according to your desire. 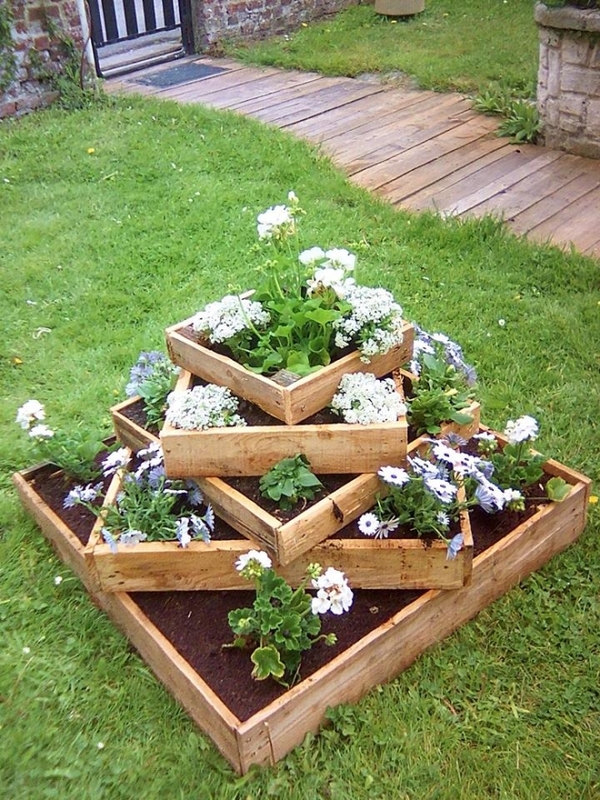 So better design one according to your choice with the pallet wood. 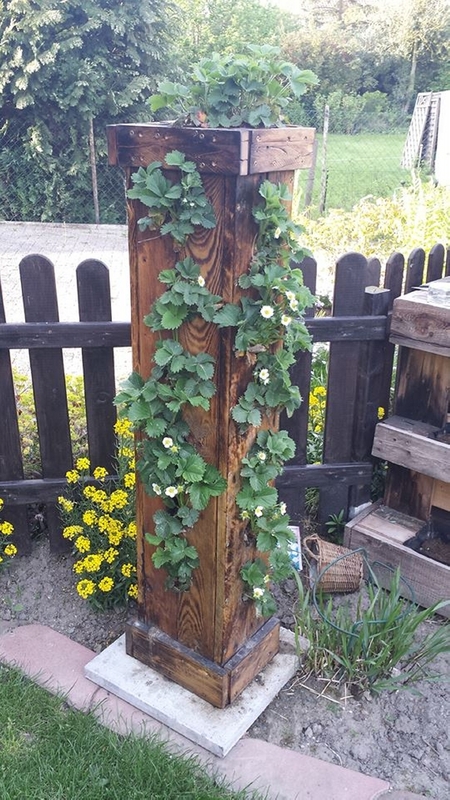 And finally this vintage vertical garden with a unique shape is a smart welcome gesture for all of those who visit your garden. This would show that you really have done a lot for you green landscape, and you are a person with some higher tastes of art and class as well.